This beautiful holiday villa is located in Peloponnese in the seaside village of Loutra Oreas Elenis just 50 minutes from Athens. It is surrounded by a large fenced garden. This beautiful modern villa is made from brick or stone and was recently built in 2008. The agent has rated it as a four star property so it is a well-equipped villa with above average furnishings. It is also great value for money. 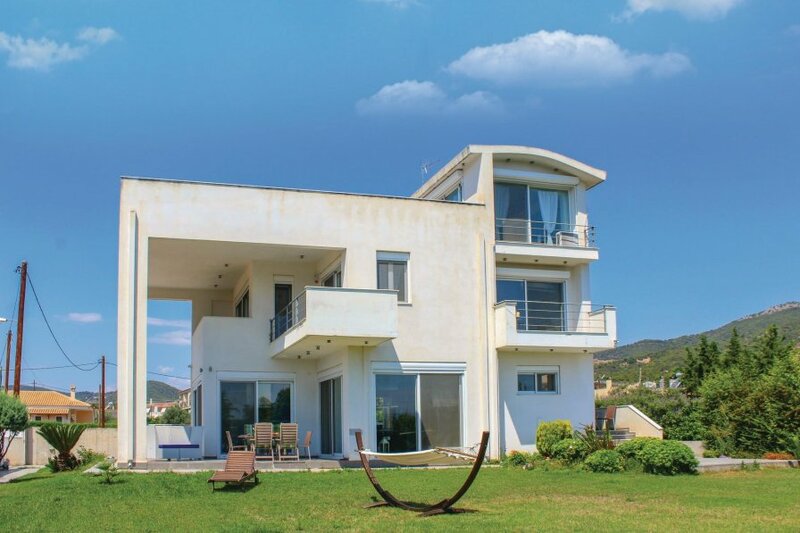 This villa has sea view and is located in Peloponnese, only 13km from Corinth. It is set in a very convenient location, just 400 metres away from a stone and pebble beach and 2.5km from a sandy beach. There's also a restaurant only 300 metres away.